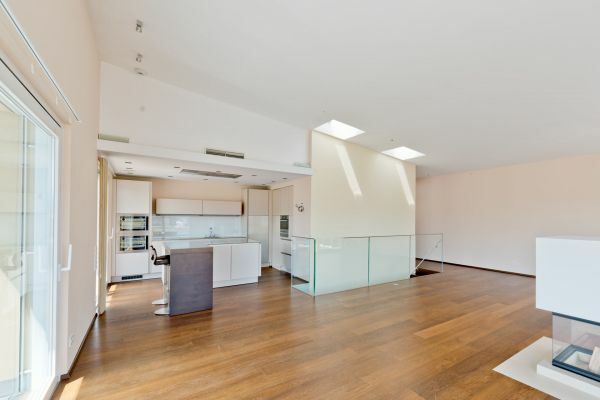 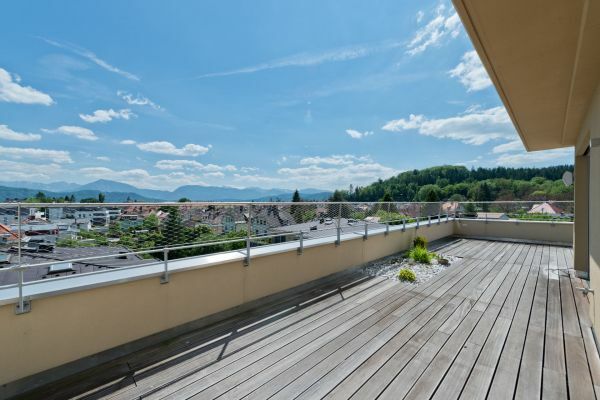 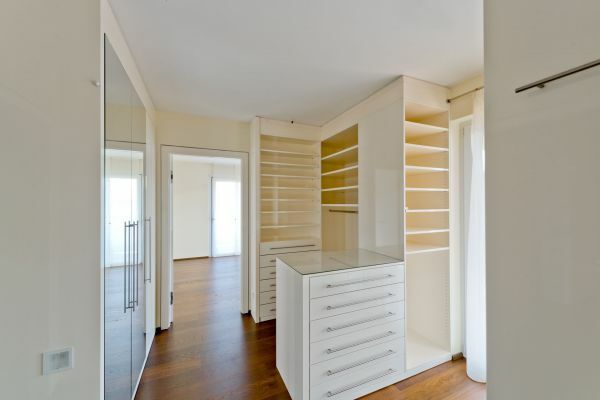 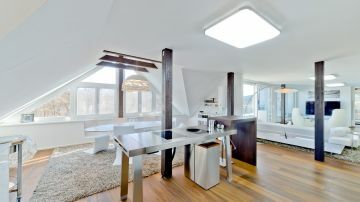 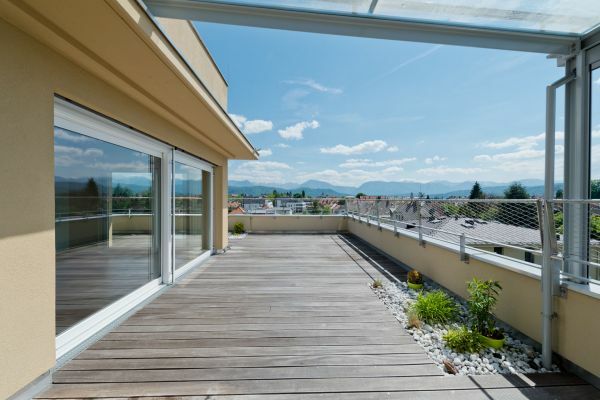 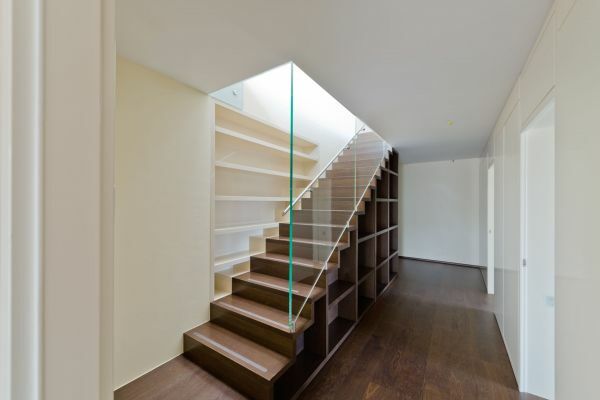 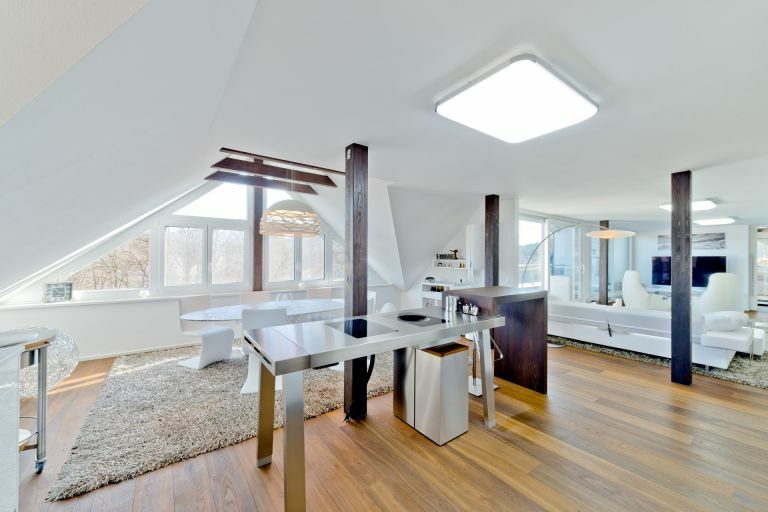 This spacious designer-penthouse is located in proximity to the centre of Klagenfurt and the Kreuzbergl. 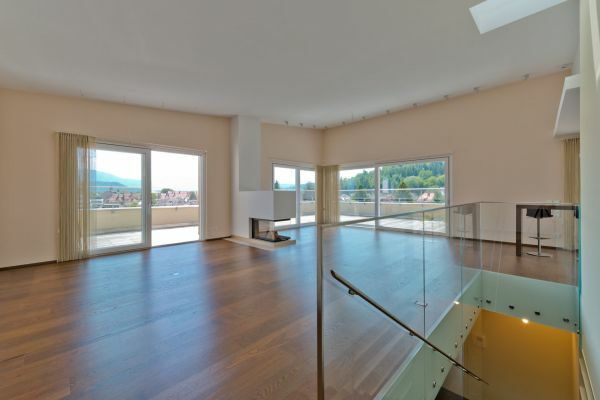 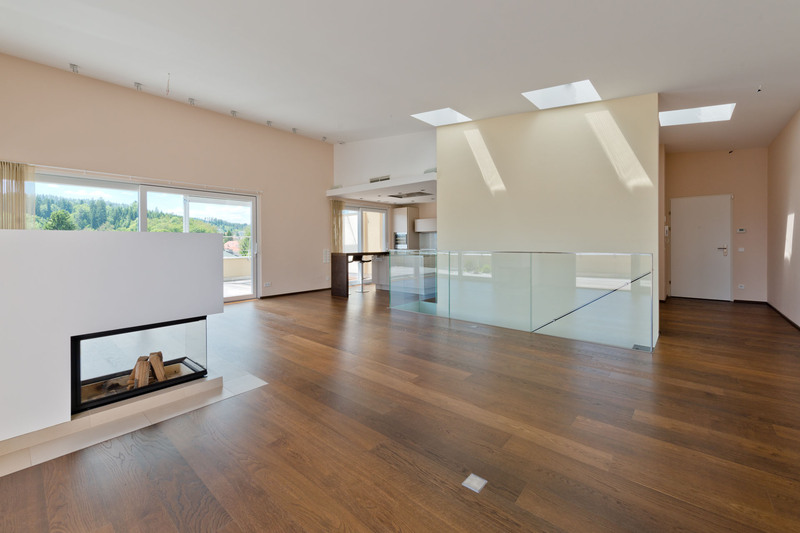 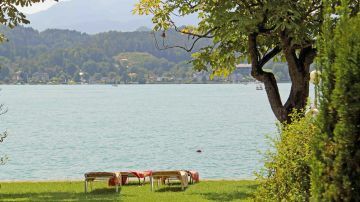 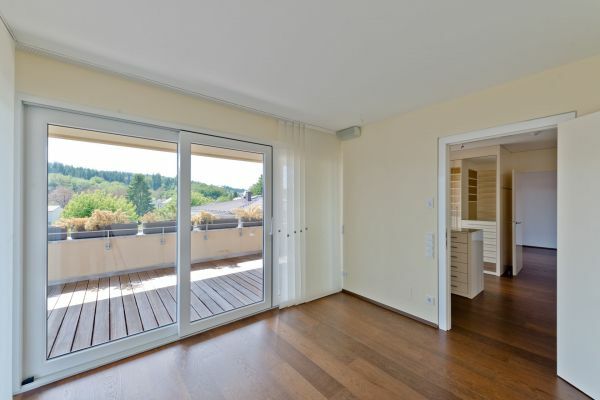 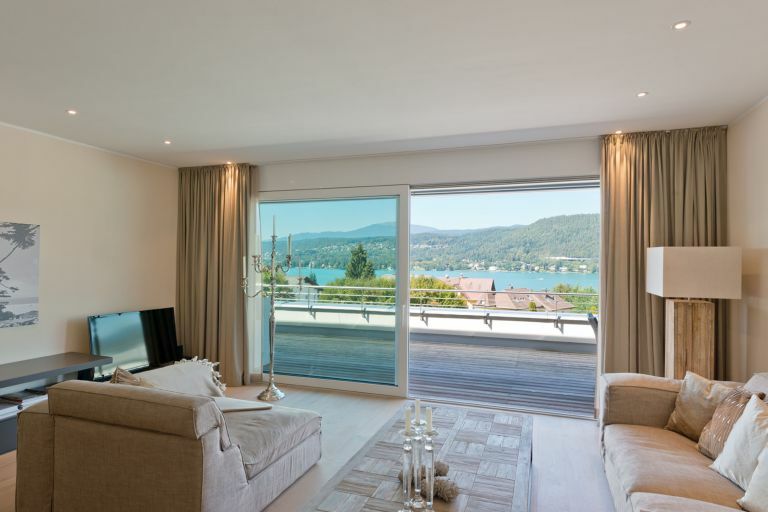 It offers high-qualitiy fitting and a panoramic view over the city of Klagenfurt and the surrounding mountains. 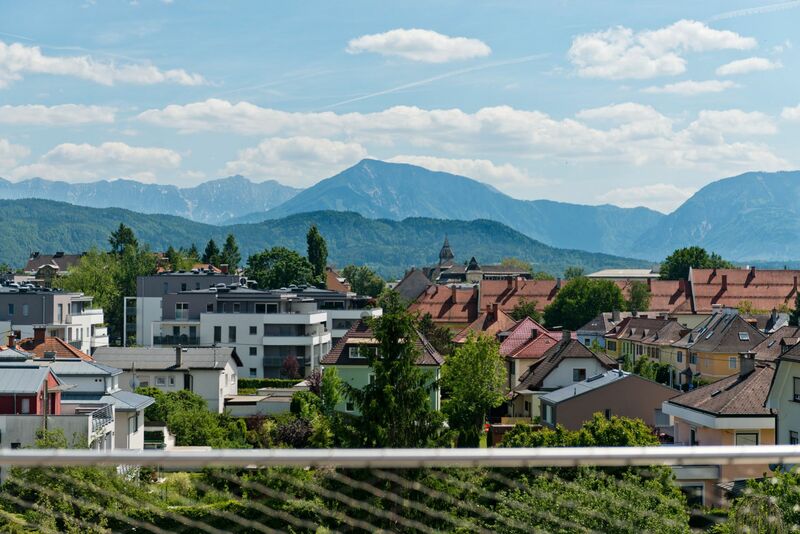 You can reach the centre of Klagenfurt in approx. 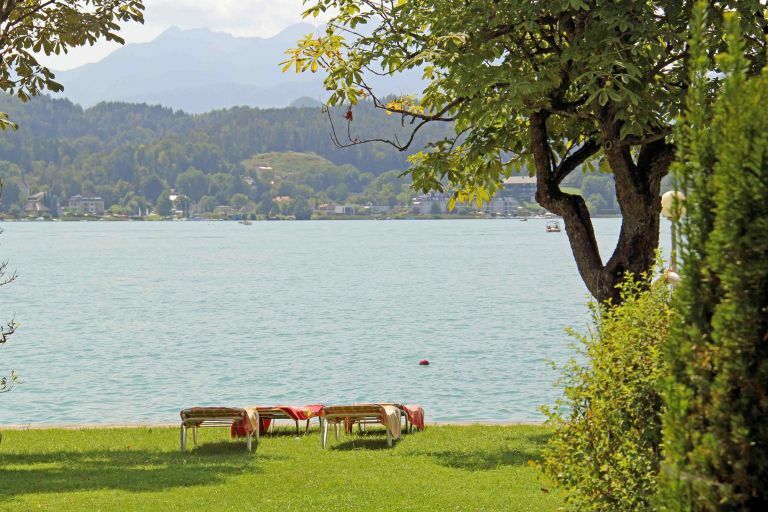 15 minutes by walk. 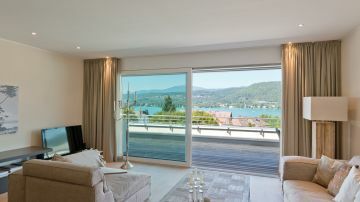 The property captivates by its modern and linear architecture, the panoramic glazing and its wonderfully quiet location.